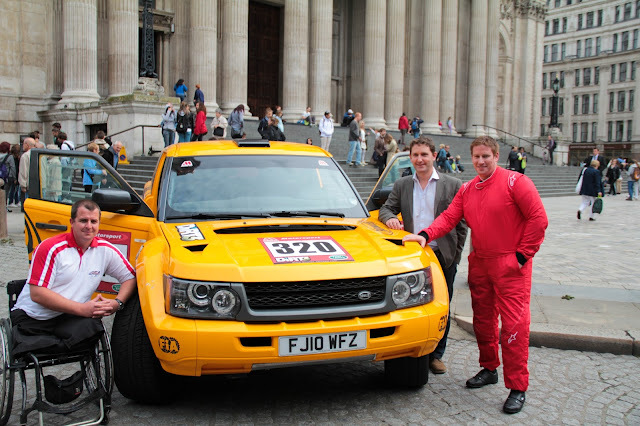 Project Mobility, the British not-for-profit organisation which helps re-habilitate injured military personnel through motorsport, has selected specialist all-terrain vehicle manufacturer Bowler to provide the cars to help it reach its ultimate aim: completing the 2014 Dakar Rally. The organisation – which appeared in a recent feature on BBC Top Gear TV – is preparing to enter a team made up entirely of former service men and women, all of whom have suffered injury in combat, in the 2014 event. The team will develop its rally-raid skills with other vehicles in national and regional events over the next three years, before tackling the 2014 Dakar in Bowler’s all-new, fourth generation model, codenamed EXR. The Project Mobility venture aims to engage, involve and inspire injured military personnel, and the wider disabled community, to participate in motorsport and off-roading activities; enhancing confidence, independence and providing a sense of achievement – from behind the wheel. Director of motorsport at Bowler and company founder, Drew Bowler, commented, “Project Mobility is a fantastic organisation with inspiring core values; empowerment, adventure and performance – things which came across powerfully in their recent appearance on BBC Top Gear. Bowler shares these values and we’re delighted to be involved with their Dakar programme. Stefan Povolotsky, Project Mobility’s Team Principle, added, “We’re very glad to have Bowler on board with us. The competition and technical experience they have is extremely valuable, and their new model will provide the best possible platform for our team. Bowler’s involvement with Project Mobility heralds a return to racing for the manufacturer, after taking a sabbatical from the 2011/12 seasons to develop its newest model, which will be offered in both rally-raid and – for the first time in the company’s history – road-going form. With experience in rally-raid racing since the 1980s, Bowler has enjoyed considerable success in a variety of competitions over the years, including the gruelling Dakar Rally, thanks to the reliability and performance of its vehicles. Project Mobility mechanics have transformed various 4x4 vehicles into competition specification over the years, and the team has had to undertake driving and theory tests to achieve the requisite licences to allow them to compete. The project’s first vehicle – nicknamed Freida – was a Land Rover Freelander, converted to Motorsport Association (MSA) competition standards. The team will continue to compete in UK rallying events over the coming months and aims to progress to the European stage in 2012, before taking on the Bowler EXR in time for the 2014 Dakar Rally. For further information, visit www.projectmobility4x4.org [or click the banner over to the right] or www.bowler-offroad.com.